Dr. Anderson is described by his peers as innovative, exceptional, and unique -- building a notable reputation quickly since completing his BS, MPH and MD from the University of Utah. He completed his pediatrics residency at the University of North Carolina in 2006 and in 2009, he completed his fellowship in Pediatric Cardiology at Cincinnati’s Children’s Hospital Medical Center. He went on to earn his MBA in 2014 from the Ross School of Business at the University of Michigan. He’s added to that education by completing both Cincinnati Children’s Quality Improvement training courses -- Intermediate Improvement Science Series (I2S2) and the Advanced Improvement Methods (AIM). As Chief Quality Officer and Associate Professor of Pediatrics in the Heart Institute at Cincinnati Children’s Hospital Medical Center, Dr. Anderson strives to continuously make calculated, purposeful, and beneficial changes with the aim to improve outcomes and value delivered to patients and families. Some improvement efforts that teams in the Heart Institute have accomplished in under his leadership have included near elimination of radiation exposure in patients undergoing electrophysiology study with catheter ablation; standardization of several outpatient and inpatient management practices; a reduction in overall length of stay in cardiac patients admitted to the hospital; and reduction in cost of caring for patients presenting with syncope by establishment of a multidisciplinary Syncope Clinic. Nationally, since 2011, Dr. Anderson has been a leader in developing the National Pediatric Cardiology Quality Improvement Collaborative (NPC-QIC), which currently includes more than 55 hospitals. His work to identify and establish an evidence-based “growth bundle” helped to improve the growth trajectories in 80% of the infants at NPC-QIC sites. A “growth bundle” is a group of nutritional processes that lead to positive infant weight gain during certain periods of their treatment. He was also essential in developing and launching “Research Explained,” which is a publication that serves to improve parental understanding of medical research. These “Research Explained” issues are delivered to parents via social media, electronic newsletters and direct mailings, equipping parents and caretakers with technical medical information translated in an accessible way. Because of this work and his steadfast, enthusiastic leadership, Dr. Anderson was recently named as the NPC-QIC Physician Chair. His leadership in quality improvement within Pediatric Cardiology has not only re-written medical best practices for treating children with complex congenital heart disease; it’s allowed him to effectively unite parents and medical professionals in a collaborative and productive relationship centered around healing children. 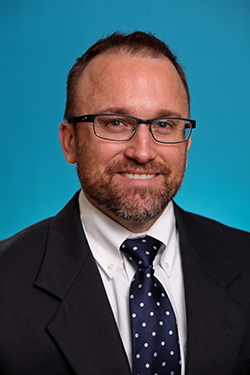 As a PVM Fellowship Award winner, Dr. Anderson will receive a cash award and an invitation to come to Chapel Hill, N.C., to share his ideas, innovations, and enthusiasm for QI with the ABP staff. He will also be invited to present Pediatric Grand Rounds at both the University of North Carolina and Duke University medical schools. Dr. Anderson was first certified in General Pediatrics by the American Board of Pediatrics in 2005. In 2010, he earned his subspecialty certification in Pediatric Cardiology and continues to maintain his certification by meeting the requirements of Maintenance of Certification.